Mexico is paradise with striking imagery. Gleaming waters, towering luxury resorts, lavishly designed pools and colorful buildings on busy shopping strips are all set against a proud culture born out of a long contested battle for independence. Only through a private charter can one take on the sheer size of Mexico and its abundance of stunning attractions. From its ancient ruins and mountainous peaks to its broad, sandy beaches. Mexico has always been one of the most visited countries in the world and has no plans to relinquish the title. To fully immerse yourself in the history and traditions of Mexico, start in Mexico City – the thriving, bustling capital that continually holds its importance over the nation. Mexico City has colonial churches scattered throughout its expansive cityscape, but perhaps the most significant amongst them is themeticulously crafted Metropolitan Cathedral of the Assumption of the Most Blessed Virgin Mary into Heavens—or the Metropolitan Cathedral for short. Its domineering presence demands attention, with its four façades, columns, statutes, two bell towers, ornate altars, baptistery, sacristy and sixteen chapels. The National Palace houses the federal executive of Mexico, and historically, has served as the site of the ruling class of Mexico since the days of the Aztec empire. The Palace exudes stateliness, measuring nearly 650-feet. The building’s connection to Mexico’s indigenous history is made apparent in its physical materials, derived from the original elements belonging to Montezuma II. In contrast to the reformed modernism of the National Palace are the remains of the city’s past: the Templo Mayor, where long ago stood the main temple of the Mexica peoples in their capital city of Tenochtitlan before the conquistador Hernán Cortés and his men decimated the land. The remaining structure of the once great temple is now a protected site, where the findings from the excavation make their way to the museum. The sprawling city has more to explore, like the Palacio de Bellas Artes for consumers of the fine arts, the Bosque de Chapultepec, a 1,700-acre city park featuring a zoo and museums aplenty, the Frida Kahlo Museum, where the late artist’s bright blue home is now dedicated her life and works, the hilltop castle of Chapultepec where the National Museum of History can be found, and the Basilica of Our Lady of Guadalupe, a revered site of pilgrimage and worship. The sight of an ancient ruin never grows old, and Mexico has a plethora of them. There’s El Castillo, a restored structure of the Chichen Itza archaeological site, impressive and elegant. On the Yucatán Peninsula, you’ll find Coba, the last remains of an ancient Mayan city, still open and climbable to the curious public. For grandiose ruins that dominate the land like a manmade mountain, there’s the Pyramid of the Sun, the largest building in Teotihuacan, dating back to 200 CE. Nearby is its sister pyramid, the Pyramid of the Moon, filling the spot as the second largest in Teotihaucan. Tour the Ek’ Balam, a Yucatec-Maya site where hundreds of years ago it proudly served as the seat of the Mayan kingdom. And don’t miss Palenque, its ancient name Lakamha meaning “Big Water.” Palenque’s stone structures and perfectly stacked tiers tell a story of yet another once-flourishing Mayan city, dating back to the 7th century. Xel-Há Park—a natural aquarium where visitors can swim alongside friendly dolphins, snorkel in clear waters, and immerse themselves in Mexico’s abundance of marine and wildlife. Xcaret, too, is eco-archaeological park and an experience unlike any other, offering cave exploration, a full day of splashing in its gem-blue waters, and relaxing on its pristine beaches, surrounded by palm trees and warm breeze. For a more remote mode of relaxation, there’s Sian Ka’an, a protected jungle preserve that allows its guests to surround themselves in Mexico’s unspoiled, untouched nature. Ik Kil is a worthy mention, a cenote with verdant rock walls and the startling, magnificent sight of vines, dripping from the ceiling, dangling above the cove’s waters. For a full-on, ultimate diving experience, there’s the Cancún Underwater Museum, an unparalleled method of viewing modern sculptures via scuba diving, snorkeling, or glass-bottomed boat. The best of North America unfolds in Mexico’s breathtaking parks. At Islas Marietas National Park, you’ll find yourself on uninhabited islands, whale watching, hiking, snorkeling, and diving amongst unblemished nature. Copper Canyon, vast and wild, opens itself up to a wide rivers and endless hiking trails into its sunsets, roaming wildlife, and horseback riding across its rolling land. Mexico is a bottomless bounty. Sumidera Canyon, a green, deep gorge can be experienced by yacht charter. The Agua Azul Waterfalls live up to its name, with thundering falls of distinctively blue water, seemingly unreal. Costa Maya unravels the best of the Caribbean coastline and Sistema Dos Ojos are shy caves begging to be explored. You can find luxury villas at Playacar, a perfect archway crafted from an impressive rock formation at Cabo San Lucas, a curious limestone cenote and cavern at Gran Cenote, and discover an ancient mountainside with naturally occurring springs and pools. Take a hike up Peña de Bernal, a natural monolith that will reward its hikers with a view from a chapel near the top of its 1,148-foot peak. Popocatépetl, the second higest peak in the nation, is very much active. The stratovolcano erupted as recent as January 2019, spewing ash nearly two and a half miles into the air, so while this mountain isn’t a recommended hike, the surrounding park will allow an excellent view of its towering peak from a safe distance. The highest peak in all of Mexico, however, is Pico de Orizaba, a dormant volcano that calls hikers everywhere to take up its challenging climb, 18,490-feet above sea level. 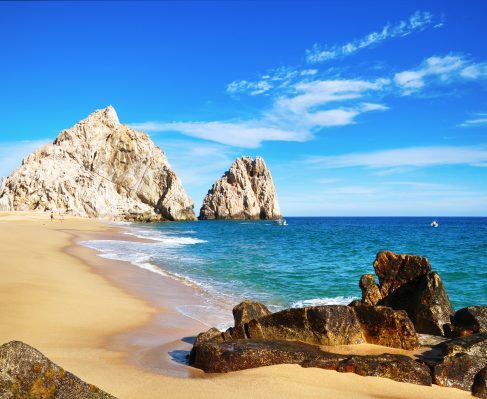 Mexico is, and forever will be, the cornerstone vacation spot. There’s something about this nation that continually pulls people back for more. Much can be attributed to the history, found in its mysterious ruins scattered throughout the nation. It’s a testament to early human triumph and the story of Mexico. 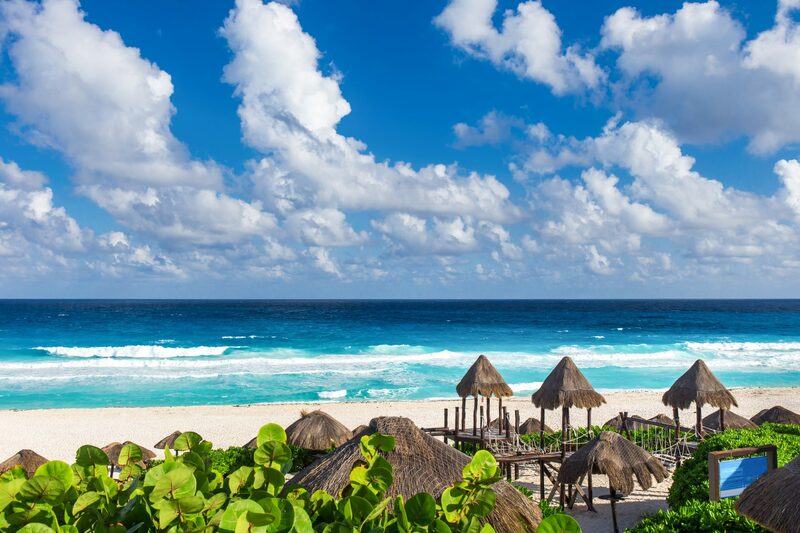 But outside of the fallen Mesoamerican cities and remains of temples is the simple, elegant beauty of its beaches, its crystal waters, its steamy jungles and its towering peaks.